Did you know even the most famous writers, such as Toni Morrison and Ray Bradbury, suffer from writer’s block? If you just started blogging and don’t know what to write about, then don’t feel bad. While your readers will only witness the genius finished result of your literary masterpiece (i.e. your blog), they don’t experience the hours you banged your head on your desk because you couldn’t come up with a catchy blog topic. Let’s take now, for example. You likely Googled, “what should I write about?” We’re here to help you out! Continue reading for some advice and ideas. Do you have a killer conclusion paragraph in mind? Cool, start by writing that. Do you not know anything about the blog, but know how you want to promote your affiliates? Write down a couple of sentences and slide in that affiliate code and link. One of the many reasons why writers suffer from writer’s block is they think they have to start with the introduction and finish with the conclusion. This isn’t true. If you have an idea for a blog, jot it down. If you think of another idea, write that down, too. Eventually, the blog will come together like a puzzle. What if you don’t have any ideas about any particular topics or blog sections, but you know the blog title? Start with this. This way, you know the basic information about your blog. It’s also helpful to search for trending keywords in your niche and to research competitors or what other influencers in your industry are blogging about. The reason you’re in the industry you’re in is likely because it’s one you’re passionate about. First, think of things you, as a reader, would like to see on a blog. You can also research the trending topics and take a different spin on them. For example, is everyone in your niche buzzing about something you disagree with? Say it (or, rather, write it) loud and proud! As with all other SEO strategies, it’s important to first research keywords in your niche. Optimize your topic and title for keywords to ensure your blog is found on search results. While you should follow the advice above and start writing the blog how you feel most comfortable, it’s important that you organize the format of your blog. This step is called outlining and is an important part of the writing process. Even if you don’t know your blog topic, you’ll at least know how your blog will flow. What are some examples of blog outlining? Label the introduction and conclusion. Then, go into your headers. Plan your major headers, subheaders, and write the points that will go under each. 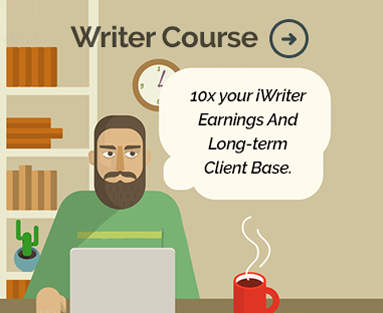 This process will help you understand your blog a little better, helping you plan your topic. Do you not have a blog topic in mind now, but know what you want to write about in the future? Don’t let those blogs get lost in your train of thought! Create an editorial calendar. An editorial calendar is what it sounds like — a guide that explains the different blog topics you will write about. An editorial calendar typically encompasses the blog topics, the titles, the keywords you’ll use, and the date you’ll write the article and the date you’ll publish it. Who knows, maybe compiling an editorial calendar will help you discover what to write about now! Now that you know general advice when thinking of a topic, here are a few blog topic ideas if all else fails. Whether you’re a sucker for film or you really love books, anyone can write a review. If you came across a work that you have an opinion about, share that opinion. You don’t have to receive the work for free from a publicist in order to write a review. A contest does more than entice your followers. Everyone loves free stuff. A contest helps give you something fun to write about (even a few blogs to write) and can even go viral. What should you give away? Start with your affiliates. Reach out to the companies you collaborate with and see if you can snag a product from them to give away. Did you write an ebook? You can also use that as a prize. Is there an influencer in your niche you idolize? Reach out to them and interview them! You’ll be surprised how willing people are to receiving press. You have an interesting topic to write about and may gain some new followers through the interview! Every niche has newbies. Help them out! Create a guide or a tutorial about anything in your niche. For example, let’s say cars are your niche. Write an article about how to change tires or a guide to the different car batteries. Even though we’re not bashing your impressive writing skills, but 65% of people are visual learners. That means they absorb visual content better than written content. Instead of writing a hefty blog, create a fun infographic. Need Help Writing Your Blogs? Whether you’re creating a snazzy infographic or writing a review, there are plenty of things to blog about. But do you still find yourself saying, “what should I write about?” You may need some help writing your blog content. If so, don’t feel ashamed to reach out to a blog writing service. They will create topics for you in your niche and will follow the blog writing instructions you give. Take a look at our services. We offer pricing based on word count and expertise.